400 pages | 33 B/W Illus. Entrepreneurial finance is a discipline that studies financial resource mobilization, resource allocation, risk moderation, optimization in financial contracting, value creation, and value monetization within the context of entrepreneurship. However, without proper strategic consideration the discipline is incomplete. 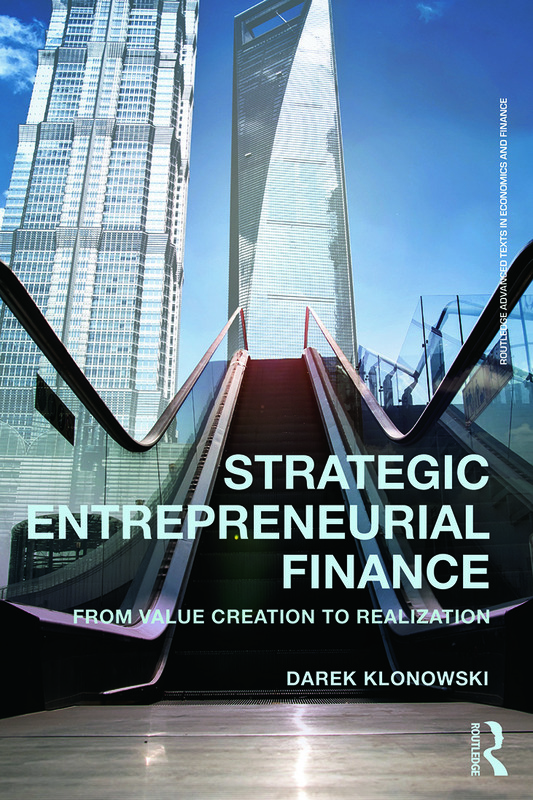 This book examines how the activity of entrepreneurial finance can be enhanced via a concentration on value creation and through improved strategic decision-making. The most unique feature of the book is its focus on value creation. For entrepreneurs, value creation is not a one-off activity, but rather a continuous cycle of incremental improvements across a wide range of business activities. Entrepreneurial value creation is described in four comprehensive stages: value creation, value measurement, value enhancement, and value realization, referred to as the C-MER model. This book focuses on what creates value rather than merely presenting value creation in a straight accounting framework. At the same time, deliberate and tactical planning and implementation ensure that the firm does not ignore the components necessary for it to survive and flourish.Vigorous strategic deliberations maximize the entrepreneurial firm’s chances of making the right business decisions for the future, enable the firm to manage its available financial and non-financial resources in the most optimal manner, ensure that the necessary capital is secured to progress the development of the firm to its desired development level, and build value. While financial considerations are important, the field of strategic entrepreneurial finance represents a fusion of three disciplines: strategic management, financial management, and entrepreneurship. This orientation represents a natural evolution of scholarship to combine specific domains and paradigms of naturally connected business disciplines and reflects the need to simultaneously examine business topics from different perspectives which may better encapsulate actual entrepreneurial practices. Darek Klonowski is Professor of Business Administration at Brandon University, Canada.